What can I say? Camden Yards is basically our home away from home. If you’re the Red Sox and you have to go on the road, you want to start the trip at Camden Yards with some wins and some encouragement from Red Sox Nation. It’s sad that the Birds have fallen from glory. It used to be that the Yankees’ big rivalry was with Baltimore and not with us because Baltimore was actually really good. But that fall from glory isn’t as sad as their performance in this day and age. Bottom of the pile in the American League East, can’t buy a win, and don’t even have the support of their own fan base when we’re in town because Red Sox fans flood the stands. It’s like being at Fenway. Good for us, but quite sad for the Orioles, I’d say. That first paragraph would be very out-of-place without a win. Turns out there was a win. 3-1, thanks to Buchholz, Kotchman, Bay, and Ellsbury. Buchholz had a terrific night, working six innings and relinquishing just one run on five hits with three walks and a strike out. That one run was Luke Scott’s long ball with two out in the second. It happens. But it’ll be interesting to see Buchholz’s strikeout count progress in the long run. Right now he doesn’t record many strikeouts per game, because he relies heavily on off-speeds, which usually induce outs not of the K variety. But as he gets older, he may discover more power on his fastball, and I’m looking forward to seeing how he’ll use that and incorporate it into his already remarkable mix of pitches. Bard, Okajima, and Papelbon got a hold, a hold, and a save, respectively. No incidents to report. Finally. Three no-hit innings that would’ve been perfect if Bard didn’t allow that walk. So aside from a very gratifying sense of satisfaction, nothing to say about an impeccable performance like that. I will say that it was a breath of fresh air after what we’ve seen from the ‘pen over the past few days. Kotchman singled to left to score Bay in the second. Bay hit an absolutely fantastic home run to lead off the fourth (ever notice how a lot of our home runs lately are lead-offs?). He was all over it. Perfect swing, perfect trajectory, perfect result. Perfect. And Ellsbury singled to left to score Reddick in the sixth. Ellsbury and V-Mart both went two for five; Kotchman went three for four. Ellsbury stole second. Pedroia almost scored in the third on a hard-hit double by V-Mart, but he was out at the plate. A valiant effort, though. I mean, he was hustling, and that’s really what we love about Dustin Pedroia the dirt dog. Youk was back in the lineup last night. He went hitless but ran in to gather up a grounder and fire to first to get Melvin Mora out in the fourth, which was good because you need to be pretty healthy to make a play like that, so it appears that Youk will be fine. Wakefield is officially scheduled to pitch Monday! I hope all goes well. I know the rest of the rotation is rooting for him; they could use the extra day off. The Angels’ coaches will be fined for bad deportment following Wednesday’s win, which they view as controversial. So as usual, we beat the O’s. Also as usual, Clay Buchholz got that win. And for the third and final “as usual,” we discuss the Red Sox’s annual rookie hazing ritual, which involves the rookies dressing up in altogether hilarious costumes. This year’s theme? “The Wizard of Oz.” Junichi Tazawa was Dorothy, Josh Reddick was Glinda, Dusty Brown was the Scarecrow, Daniel Bard was the Cowardly Lion, Michael Bowden was the Tin Man, and Jed Lowrie was the Wicked Witch of the West. (This is actually Lowrie’s second time around because he hasn’t completed a full Major League season yet; last year he dressed up as a character from “High School Musical.”) All in all, it was a great day. Tonight should be even better. Something tells me a Lester-at-David-Hernandez matchup will be a very good game to watch. In other news, we traded Phil Kessel to the Maple Leafs for two first-round draft picks and a second-round pick in 2010 and a first-round pick in 2011. Can’t say I didn’t see it coming, and to be honest with you, at this point I don’t think I’d want him in a Bruins uniform this season. His head wouldn’t be in the right place after all that’s happened, and so it wouldn’t be fair to him or the team. He didn’t even want to come back; he didn’t particularly like Claude Julien’s approach. Besides, the Leafs gave him $27 million for five years. For us to match that, we probably would’ve had to either send down or trade Michael Ryder and Andrew Ference. So good luck to him in Toronto. I know he’ll be great there. He’d be great anywhere. That’s the unfortunate part. If only it had worked out, right? But that’s the downside of a salary cap. Kessel was asking for a lot of money, so Peter Chiarelli had a choice: he could sign him, or he could sign all of our other young guys who were free agents, not to mention all of the guys who’ll be free agents after this season. He chose the latter, which was wise I think, because having one Phil Kessel won’t do much for you if you don’t also have a David Krejci and a Matt Hunwick, for example, to support him. But he’s got his own work to do. He may be great in Toronto, but it’ll have to be without Milan Lucic creating space and without Marc Savard sending him pinpoint passes. Walt Whitman had it right. The captain is the man. No question. So if you there’s one guy you want to make sure you resign, it’s your captain. And finally, after Scott Boras’s epically epic fail, I’m pleased to report that the deal is done. Finished. In the bag. Signed, sealed, delivered. Jason Varitek is coming back to Boston, the only Major League team he’s ever played for. He signed a one-year, $5 million deal at the deadline, with an option for 2010 worth $5 million if Boston activates it, $3 million if Tek does, or $5 million if Tek activates it and meets incentives. So the deal is as low as $8 million and as high as $10 million. A very reasonable offer, if you ask me, especially considering that Tek’s offense is nonexistent these days. But even if we’d had the opportunity to sign an offensively prolific catcher, I still would’ve liked to see Tek return somehow, in some role. It’s true that, for some reason, the catcher’s position is notorious for aging quickly, but there’s just no way we would’ve been able to let Tek walk. His role is too important to the team, especially with all these new arms coming in. It seems obvious, but as Jon Lester said, there is a reason why he wears the “C.” We’ve weathered his low batting average in the past, and we can do it again, and with all the new pitchers we’ve signed, he’ll definitely be a big asset in ’09. I still can’t get over the whole process, though. I’ll tell you something: Scott Boras is thoroughly embarrassed right now. Scott Boras committed a major error, and part of it had to do with the fact that this year’s market was exceptionally unkind to veterans. Being a free agent in an economy like this is not pleasant, especially if you’re past your prime. And if you’re an agent, you’d do well to recognize that. Otherwise your client will go over your head and broker a deal without you. Let it be stated here that Boras has been beaten at his own game. Wow, that felt great to say. Mike Lowell is officially ineligible to represent Puerto Rico in the World Baseball Classic because he’s still in rehab from right hip surgery. At least we know his recovery is progressing, and we can be happy about the fact that he’s being responsible. I just hope his offense comes back, because his numbers were sweet in ’07. (Can we say World Series MVP?) It looks like Kevin Millar has some decisions to make; the Orioles aren’t bringing him back in ’09. Unfortunate but sooner or later everbody’s time comes, I guess. And he does have a ring. Meanwhile, Manny Ramirez is still unemployed. Larry Lucchino has publicly stated that we will absolutely not be resigning him. I was a Manny fan, and I miss his bat in the lineup just as much as the next guy, and we owe him a whole lot, but really, from a team’s standpoint, who would want to sign him after last season’s debacle. It was just ugly. There’s no doubt that he’s headed to the Hall of Fame, and there’s no doubt that he’s one of the greatest sluggers of his era. But those aren’t really incentives to sign a dude when you can never be sure if he’ll play on any given day. And last but not least, Joe Torre’s new book is coming out. The Yankees Years. And in the book, he writes that in 2002 it finally hit him that the Yankees aren’t an unselfish team. More power to him for finally realizing that, but he could’ve just asked us. But it gets better. Who takes a verbal beating in the book but A-Rod. Shocker. It’s about time. Torre writes that A-Rod wanted to be the center of attention, that he was routinely focused on himself, that he was overly concerned with appearances, and that his presence put a strain on the clubhouse. I’m just glad someone within the Yankees organization is finally grasping what the rest of the baseball world knew for years. And I feel compelled to mention that A-Rod brought zero pennants to New York. That’s all I have to say about it. In other news, the Bruins defeated the Rangers yesterday, 1-0. The Bruins are now 24-0-2 when leading. Tuukka Rask was in goal for his first NHL start this season and recorded his first career NHL shutout. 35 saves, and you should have seen some of them. Outstanding peformance. My friends, the future of Boston goaltending is bright. Not to mention the fact that Phil Kessel and Andrew Ference are both back, and watching them you’d think they never missed a beat. I have to say, we’re looking really good down the stretch. Sadly, for us, baseball season has come to a close a little too early, and usually when we’re in this situation it’s because something’s not right and we need to fix it. We ask ourselves what we should do now. But this year it’s a little different. The Rays barely hung onto the division and barely made it to the World Series. We don’t have debilitating flaws. It makes you wonder how unstoppable we’d be if we hadn’t had to battle injuries and late major trades. And that’s just it. We don’t have that many offseason decisions to make because, for all intents and purposes, we’re already golden for next year. Just like in 2006 and 2007, the injuries piled themselves on this year but next year it’ll be smooth sailing in the health department. The new guys have gotten used to the city, and now that they’ve tasted October baseball they’ll want more. But there are still some issues that need to be addressed. Issue number one: Jason Varitek. We love the man. He’s our captain for a reason. He’s a mentor to the younger players, he handles the pitchers very well, he’s caught a record four no-hitters, he’s a leader on and off the field, and he still has his moments. Those moments, unfortunately, are becoming more and more sporadic though, and it’s not clear that the offense can afford to simply consider him an “easy out” with the assumption that he won’t hit anything and then be pleasantly surprised when he does. It’s true that the position of catcher isn’t known for its offensive production, but it’s also true that catchers who can hit do exist. I see three solutions here. One is to give Tek something like a three-year deal and also take on a young catcher, and have Tek and the new catcher split playing time, such that the new guy learns from Tek and Tek becomes his mentor and teaches him everything he knows. That way, when Tek reaches the end of his deal, we’ll have a Tek, Jr. to take the reigns. A second solution would just be to have Kevin Cash fill the role of Tek, Jr. He’s got a great arm and his offense has potential. The third option I’m seeing is to keep Tek, not as a player, but as a kind of coach for the pitchers. Sort of an assistant to John Farrell. That way the pitchers as well as the rest of the clubhouse can benefit from his presence and leadership without having to feel pressure to compensate for his lack of offensive production. Another concern will obviously be Mikey Lowell. He’s set to have surgery on his right hip soon. He’s getting old. He spent most of the second half on the DL, and when he did play this season, he didn’t show signs of being as dominant as he was last season. I’m not saying his outstanding 2007 was a fluke. I’m just saying that it’s going to be more and more unlikely that his numbers will be comparable in the future. We might want to consider taking on another starting third baseman, just in case. This will allow Mark Kotsay to go back to being a spare outfielder, which is something else we need, and it’ll allow Youk to go back to first and get himself another Gold Glove. I’d like to strongly suggest that we make Jed Lowrie our starting shortstop permanently. Since Nomar we haven’t had stability or reliable offensive production from the shortstop position, and signing Julio Lugo to a five-year contract was supposed to take care of that. We all know how that turned out. Ironically, he came over from Tampa Bay, and little did we know that it would be a complete disaster. The differences between the defensive and offensive abilities of Jed Lowrie and Julio Lugo are absolutely staggering, and after spending so much time watching such talent and potential between second and third base I don’t think I can go back to watching error after error and out after out. I’d also like to strongly suggest that we keep Alex Cora and Sean Casey on board for 2009. 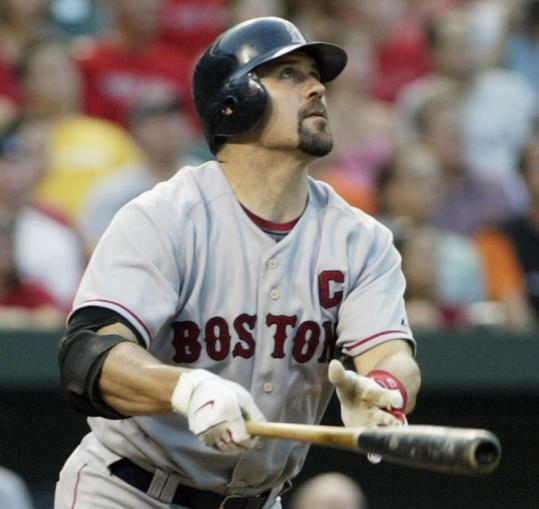 Alex Cora is a great utility guy, and Sean Casey hits line drives like nobody’s business. In terms of pitching, it’s difficult to say. Theo Epstein isn’t worried about Beckett, and after his most recent postseason start I think that’s justified. Next year we’re in line to have three aces on our staff: Beckett, Dice-K, and Lester. We’ll have Wake, too, and the good news is that as a knuckleballer the quality of his pitching won’t decline. (The quality of his pitching at present is a completely different story.) But we’re going to need a reliable fifth starter. I’d like to see Justin Masterson fill that spot. He made a handful of starts this year and rocked in all of them. As for the bullpen, let me state first that Mike Timlin should retire immediately. I don’t even want to count how many games he lost for us this year, and don’t even get me started on Game 2 of the ALCS. Even if he doesn’t retire, we’ll need at least one more reliever, two if Masterson does go back to being a starter. The more airtight our relief is, the more invincible we’ll be. Think about it. A pitching staff that includes Dice-K, Beckett, Lester, Papelbon, Okajima, and Delcarmen is pretty formidable already. Some additions and improvements could make us lights-out for the full nine innings. In other news, Big Papi’s wrist is fine and he won’t need surgery in the offseason. Tito, however, is scheduled to have surgery on his back. I give him a lot of credit. Boston is a tough place to manage, and he makes it look easy. He is officially one of the greatest managers in the game. The Patriots completely decimated the Broncos and won on Monday night by a score of 41-7. And after six games, the Bruins are third in their division with a record of 2-1-3 for a total of seven points in the standings. Manny Fernandez and Patrice Bergeron are back in action this season, and Bergeron, PJ Axelsson, and Andrew Ference are this year’s assistant captains with Zdeno Chara wearing the C. Chuck Kobasew is on the injured reserve. The Red Sox and Patriots have been doing some serious winning lately, and it’s becoming painfully obvious that the Bruins need a Stanley Cup. I think I speak for all of Red Sox Nation when I congratulate the 2008 Boston Red Sox, the American League Division champions! True, our October didn’t end like it could have or should have, but remember, there’s always next year. And there’s always last year.